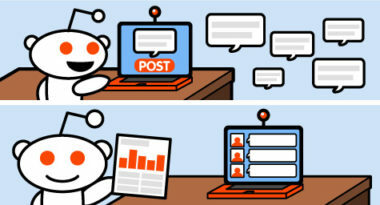 Could Reddit Be the World's Most Influential Website? Could Reddit Be the World’s Most Influential Website? Launched in 2005, Reddit gets more than one billion page views each month and represents a new evolution in online communities. The site is bringing a higher order of organization to online content, which offers exciting collaborative potential. To understand why Reddit is attracting such a faithful following, Bluegrass.com compiled a list of why everyone loves Reddit. 1. The Best Input Takes Priority – This rightful ascent of quality comments and conversations is the result of the voting-based comment system that positions the most voted-for comments to the top of the thread. 2. It Collects the Best of the Web – Reddit enables individuals to find the most recent and interesting information online, thanks to the millions of users who submit countless new content each day. 3. The Site is Highly Collaborative – Reddit allows like-minded people to collaborate toward the development of great concepts and creations. 4. Special Interests Are Encouraged – Some of the Web’s most active niche communities can be found on Reddit, which makes it one of the largest online gathering places for numerous specialized topics. 5. Serves As the Ultimate Detective – Reddit enables a large group of individuals to collaborate on investigating and digging up information on a particular topic, person, or item of interest. In fact, the site has successfully located birth parents, found obscure videos, and revealed criminal acts. 6. It Saves Lives – The site’s community devoted to suicide watch has close to 9,000 subscribers and is considered the largest unfunded volunteer suicide prevention group in existence. 7. A Source of Expert Advice – While there is no definitive number, there are many highly skilled experts, acclaimed intellectuals, celebrities, sports stars, and more famous names using Reddit every day. 8. It Can Inspire Revolution – When a single idea resonates with an entire community, that group can unite behind it and propel it to great heights. In fact, Reddit has launched many political movements and human rights initiatives into mainstream topics of debate. 9. Karma Is the Currency – A user’s karma is determined by how much the community likes or dislikes their content or comments. The user’s quest for good karma serves as a motivator to provide quality information and useful comments in order to be judged favorably in the eyes of fellow users. 10. Reddit is Generous – The site has done an extraordinary amount of good deeds, from bringing to dreams to life to literally saving lives. Reddit is clearly on a roll and destined to redefine the way we connect, communicate, and collaborate online. To learn how the most innovative online platforms can impact your business and your marketing ROI, contact MDG Advertising.